If your favorite large format processor or printer is the one you already own, ImageTech’s experienced repair technicians will keep it maintained and in top condition. Our nationally recognized wide format printer support technicians will insure that your printer performs reliably. If your favorite machine went off the market years ago, perhaps we have a refurbished one in our warehouse. We bring in selected tried-and-true machines for repair and restoration and make them available to our clients worldwide. Visit our Digital Marketplace web page for refurbished and fully supported wide format printers and photo lab processors from Canon, Epson, Durst, Kisun, Oce, and Polielettronica. ImageTech and Bayinkjet offer some of the best prices on Arlon print and adhesive media and laminates. We have been supporting the large format printer and processor market for over 25 years and are authorized dealers for Mimaki wide format printers. Arlon manufactures a full line of print vinyls and films including cast, calendered, over-laminates, and banners. The calendered line includes industrial grade, intermediate and promotional films. Whether you are working on a sign, wall, or window graphic or wrapping a vehicle or boat, Arlon has a print media film to fit your needs. Applications include fleet and vehicle wraps, building wraps, interior decor, backlit identity signage, commercial signage, premium graphic overlaminates, specialty overlaminates, promotional banners, industrial graphics, and translucent signage. Special 0% Financing offer from Canon! Lease a Canon imagePROGRAF printer without paying interest for a limited time. Call for details. While supplies last, ImageTech will be offering free 24″ rolls of fine art paper or bond with every Canon printer purchase. Call for details. For over 25 years ImageTech has been an industry leader in the installation and service of wide format printers and processors. We are authorized dealers specializing in sales and installation of new equipment from such manufacturers as Canon, Mimaki, Colex, Fotoba, Kisun, Polielettronica, and Tecnolab. We not only strive to provide the right machine at the right price, but support our customers with nationally recognized service technicians, offering installation, set up, and service for dependable printer performance. ImageTech’s breadth of experience not only insures that your new large-format printer or processor meets your needs, but that it keeps producing well into the future. While supplies last, ImageTech will be offering free 24″ rolls of fine art paper or bond with every Canon printer purchase. With instant rebates and 0% financing also currently available, this offer is only one more reason that this is a great time to buy a Canon printer. All other Canon iPF printer purchases will receive one roll of Econo Bond sample rolls 24″ x 50′. Visit Bayinkjet, our online store for wide format printers and supplies, for a complete list of eligible printers. 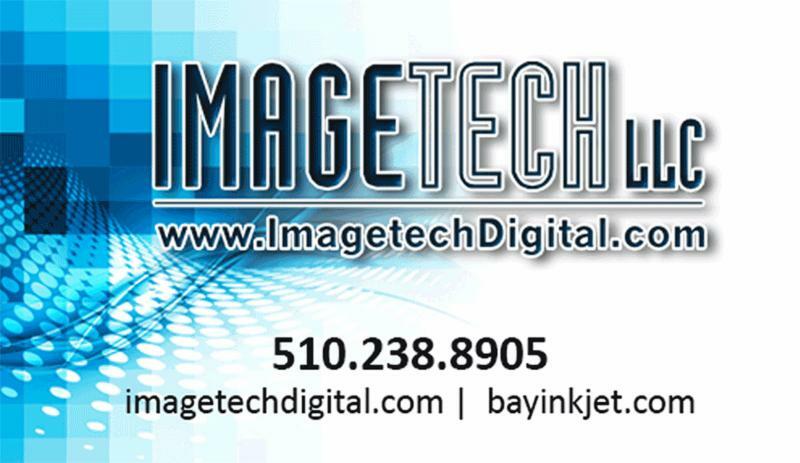 ImageTech is a leading San Francisco Bay Area authorized dealer of large format printers, supplies, service, installation, and repair. Call with any questions regarding your wide format printing needs. (510) 238-8905.